Now since last holidays I've been trying to make sure that I keep taking the kids to the Library and get them more books to read. I want them to love books as much as I do. The last time we were there we had lots of fun and I even picked out some books for myself. I know I showed you them at the beginning of the month. So how have I got along? Well not very far. I have been VERY stressed and off with the fairies this month and it's showing in my concentration when I try to read. SO although I thoroughly enjoyed reading this book and when I actually settled down and read it I loved it and wanted to read more... it still took me most of the month to actually read it. I loved it. I'm not a big crime/fiction reader I tend towards the fantasy and romance where everything is very fantastical. But I found the writing very easy to read. She writes a fast paced book that left me feeling like it had an ending. I didn't feel left out or that there were still questions unanswered. It was a book that could stand alone by itself which is exactly what I needed. I read way too many series. The book was about a murder in a small tourist town of a prominent citizen. It had been solved a couple of months before and that was that, then suddenly the lawyer of the suspect retires and then the protagonist's husband is pulled in to work as the defence lawyer. The more digging he does the more he reads up on what happened, the more questions, rather than answers, he finds. 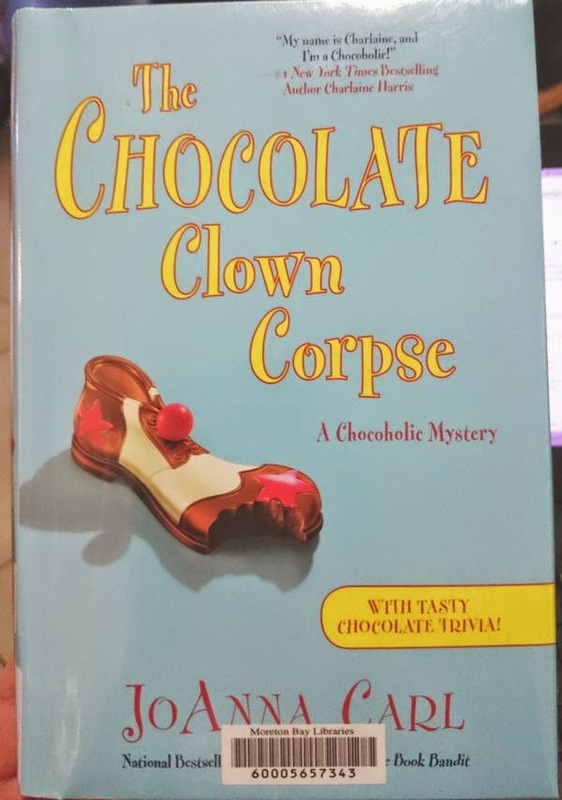 It's a story about clowns and chocolate and is a fun little murder mystery. It's fairly light as they go and you don't expect the answers that you find. You learn a lot chocolate as you go and just enjoy the mystery. I give it 8/10 I didn't go crazy over this book and that was nothing to do with the book or the writing and more to do with me at the time. It's also not entirely my style. So if you want a nice easy read with a bit if mystery thrown I think you will enjoy this book.